The Speedo Run is a very popular event we do For the Cause. The Speedo Run is always held the Saturday after Thanksgiving. This year’s Speedo Run is Saturday, November 24th, 2018. Click here to register. Our runs encourage healthy living and physical activity. Our celebrations encourage community. All of this is achieved while participants have the knowledge that their efforts are supporting the causes they care about. The run has raised over $100K to date for local breast cancer series, and health initiatives since 2009. Run for the Cause is always held on the first Saturday in November and it is a great way to warm-up for the Run for Diamonds. 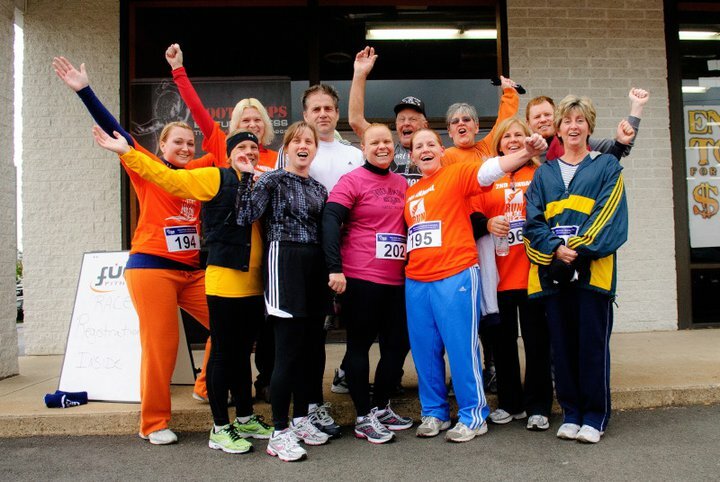 It starts at Hogs Hollow and loops over State Hill for the most challenging 5k in the area! Click the link below to access our community calendar to find the latest updates of upcoming events.